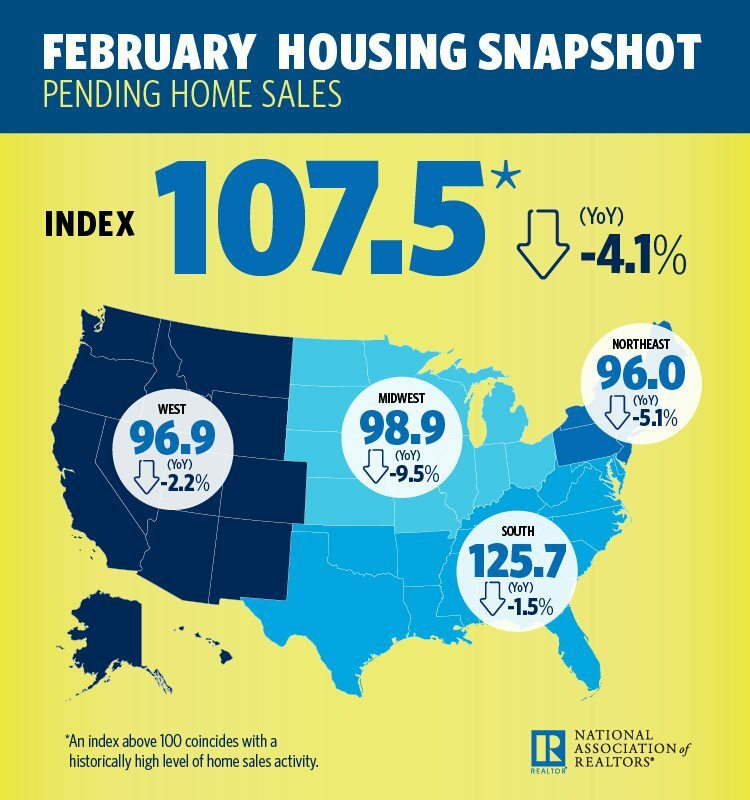 The National Association of Realtors (NAR) Pending Home Sales Index (PHSI), a forward-looking indicator that tracks home sales in which a contract is signed but the sale has not yet closed, increased 3.1 percent in the month of February to 107.5 from a downwardly revised 104.3 in January. 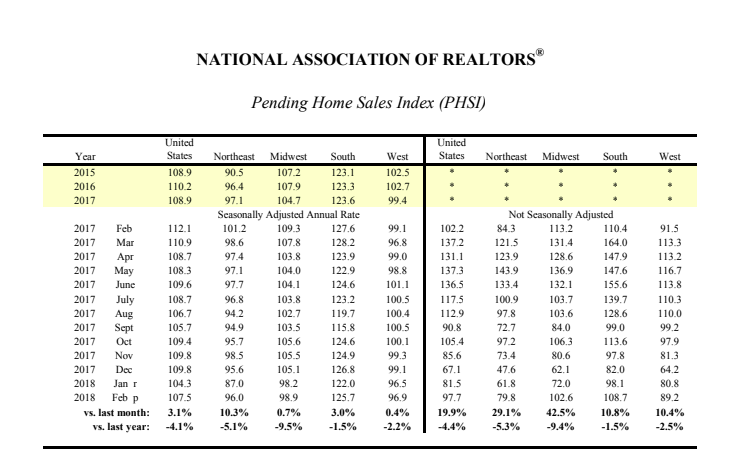 NAR chief economist Lawrence Yun says although pending home sales rebounded from a sluggish January, it’s still not enough to keep up with last year’s pace. Looking ahead, Yun expects existing-home sales to stay flat at 5.51 million, especially if inventory doesn’t receive a bolster from current homeowners putting their homes on the market. “Homeowners are already staying in their homes at an all-time high before selling, and any situation where they remain put even longer only exacerbates the nation’s inventory crunch,” he said. The national median existing-home price is projected to increase 4.2 percent year-over-year in 2018.